Although associated today with the Impressionists, French artist Edgar Degas considered himself a Realist, part of a movement ushered in following the Revolution of 1848 that sought to capture truthful representations of contemporary life. 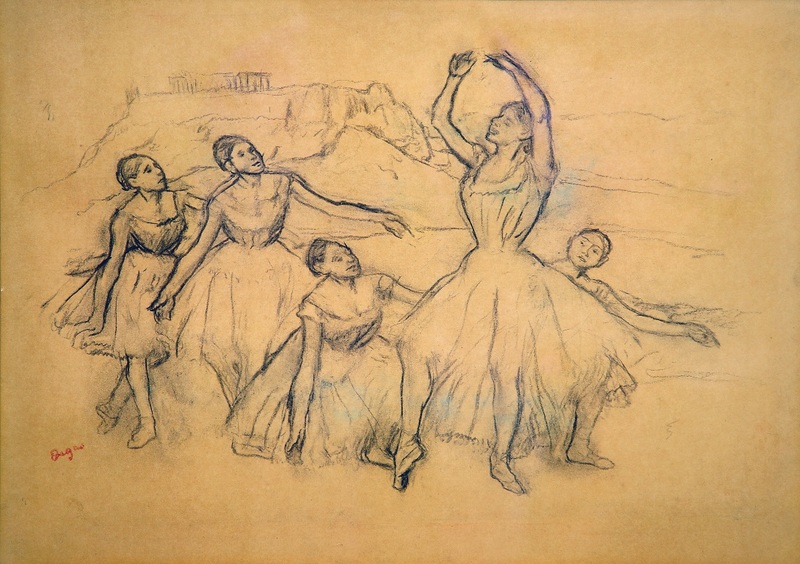 Degas focused his efforts on leisure activities, such as horse races, concerts, urban cafés, and the ballet. Rather than completing staged portraits, Degas captured his dancers in the midst of movement and highlighted their athleticism through unexpected vantage points. This is one of more than 1,500 works Degas produced on the subject, but it is unusual in its depiction of ruins on the hilltop in the background.